• Name Tags for business meetings, dating services, golf clubs, gyms, weddings, and parties. • Adhesive parking passes for high schools, colleges, communities, businesses, and even military bases. 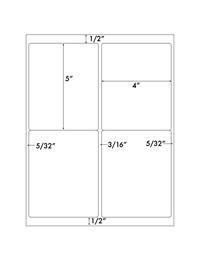 Size of Each Label: 4" X 5"